Both sexes fully winged. Body brown to dark brown, tarsi and fore tibiae paler; antennal segments III–V and basal half of VI yellow; fore wings light brown. 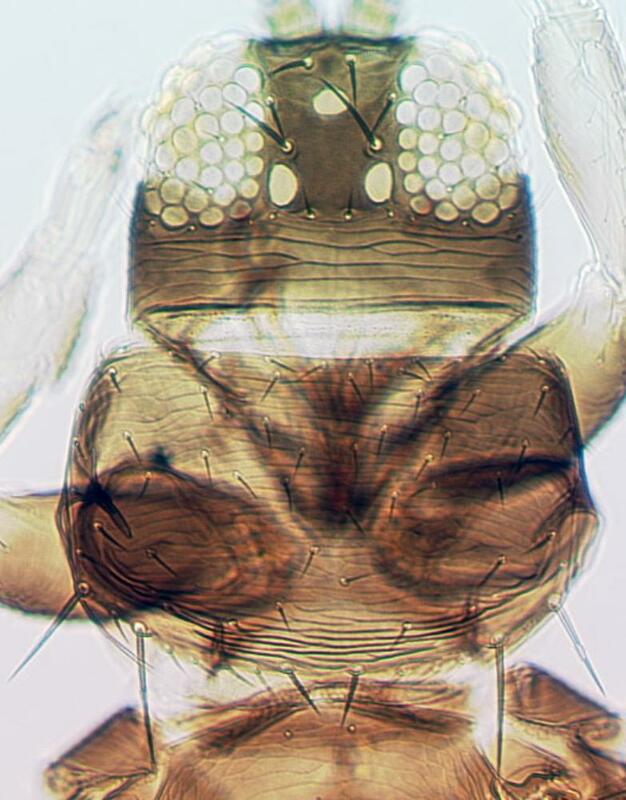 Head wider than long; three pairs of ocellar setae present, pair III slightly longer than distance between hind ocelli, arising just anterior to these ocelli. Antennae 8-segmented; segments III–IV with short forked sensorium. Pronotum with transverse lines of sculpture; 2 pairs of long posteroangular setae; 4 pairs of posteromarginal setae. Metanotum weakly reticulate, posterior reticles forming distinctive arc at posterior margin; median setae arising at anterior margin; campaniform sensilla absent. Fore wing first vein with 2–4 setae on distal half; second vein with complete row of about 12 setae. Abdominal tergites III–VII with no sculpture medially; tergite VIII with no ctenidia but with several scattered microtrichia anterior to spiracle, posteromarginal comb with short microtrichia laterally but absent medially; tergite X with complete longitudinal split. Sternites without discal setae. 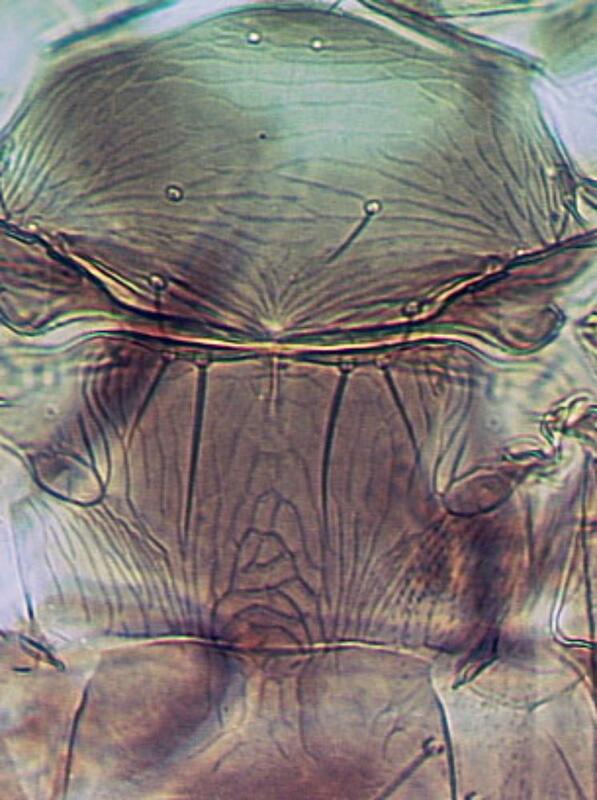 Male smaller than female; sternites III–VII with large oval pore plate occupying half the length of each sternite. This common species in weedy yellow Asteraceae flowers is variable in body size and color, but has distinctive sculpture on the metanotum. There are 19 species listed in the genus Tenothrips, mainly from the Mediterranean region. 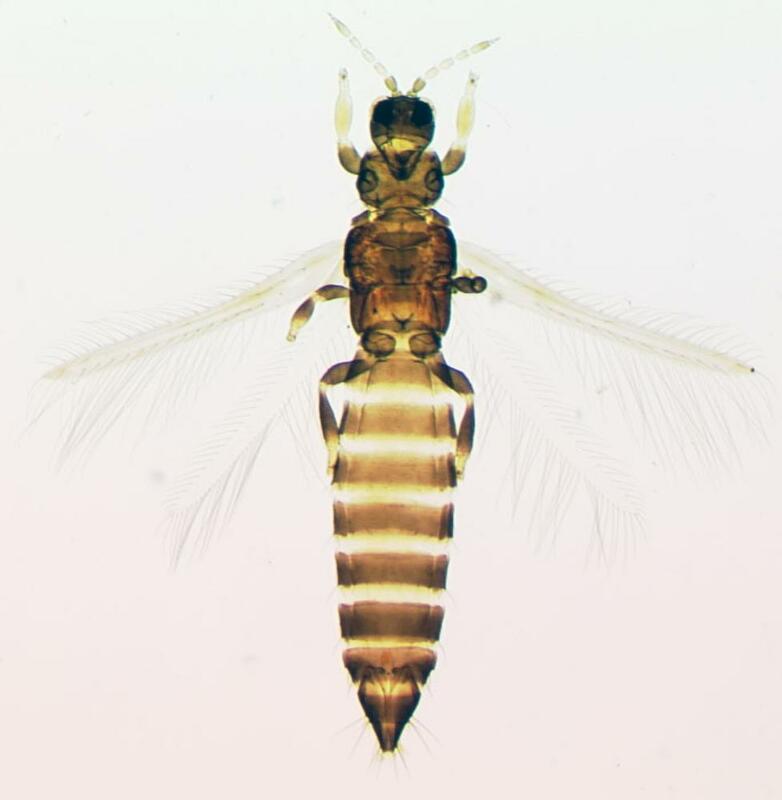 However, Bhatti (2003) has questioned whether this genus is distinct from the Californian genus Ewartithrips. Associated with various Asteraceae, particularly weedy species. Widespread in southern Europe, introduced to California, Oregon, Washington, Georgia, Colombia, Argentina, Uruguay, Hawaii, New Zealand, southern Australia.